It’s not an easy task to translate the requirements of client to fully fledged website. Several discussions between the client, designer, and developer are required which would result in various iterations of design along with the website itself. The best thing is all the developers and designers are caring, innovative, and sharing. As there is a rising need for the responsive websites, a similar growth of design tools for making responsive web design and development has been presented there. Following is the list of some available tools for helping through the steps of responsive design & development process. My preference always goes to paper & ink for the basic sketches. The InterfaceSketch provides the designers a lot of free and simple PDF templates matched with the screen of a variety of mobile devices. If you want you can easily utilize these PDFs after printing to sketch out preliminary designs using the finest design tool. Building several mock-ups & wireframes for the clients would take time which is not expected. StyleTiles makes easy part of such pain by allowing web designers to use concepts of design from the interior design. These are similar to the paint tiles and fabric’s swatches the interior designers apply. In place of building full mock-ups, using StyleTile swatches would help describe visual language. It is ideal for the responsive designs, as fixed layouts and dimensions are not defined there. If it is frozen with clients, it would be easier for designer to carry on the real mock-up or wireframe. Usually wireframes is a stagnant representation of the visual look of a website. It is true that you won’t like to build different wireframes for different screen sizes. Moreover, James Miller has adapted the most classic layouts and built responsive wireframes. It lets you see those areas of layout which draw the focus of user focus on multiple devices. Wirefy can be a great option for those who are looking for building their wireframe. Simple workflow is present here with a wide collection of minuscule components which can easily be moved around. It allows designers to create functional wireframes along with the fluid designs which would help keep focus on real content. Here are some tools which can help create responsive code. It is a tiny set of the CSS modules which is particularly designed for different mobile devices. This boasts very tiny zipped and minified footprint (measuring around 4.4KB). 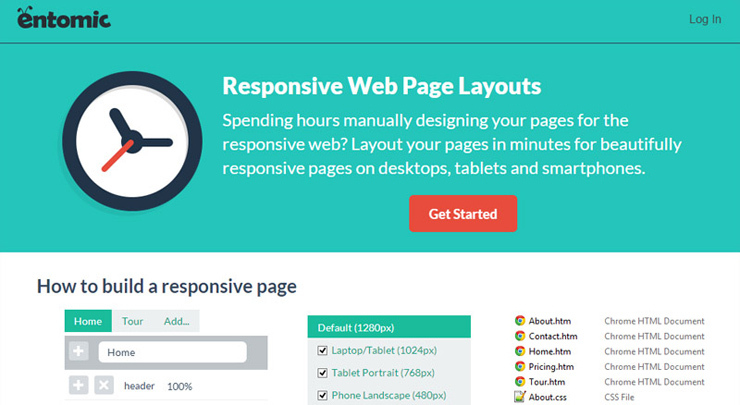 If you wish you can easily build responsive layout applying Grid & Menu modules. Different modules for different CSS elements are also there like tables, buttons and forms. It takes a little different approach. This allows you to build layout through including div elements of the webpage and after that setting the accurate size of every div depending on your preference. After that, you can easily download skeleton HTML+CSS. As a web designing tool, it is a native application which is needed to download and then install. It provides much flexibility of image editor, capability of dragging and dropping elements, creating layouts, setting typography, defining global styles along with the most efficient fluid layout engine named Stream. Alchemy, a design-to-code engine, converts designs into correct HTML and brief CSS. 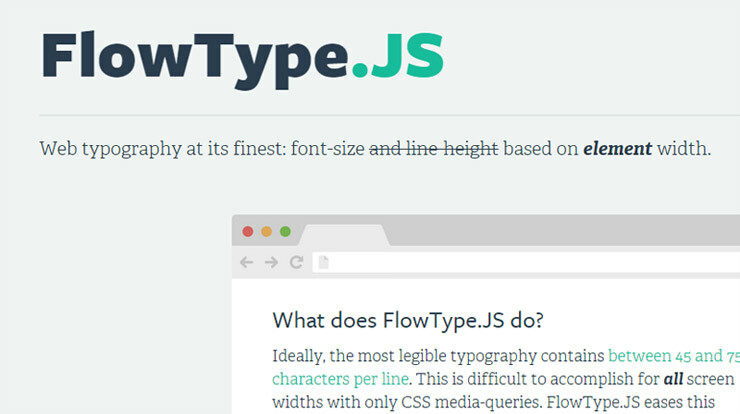 Here are some finer details on the fonts, images and videos. Although text is ignored in most of the responsive designs, you should be concern about it. It is a tidy jQuery plugin which can change font size on the basis of an exact width of element to attain the best character count (between 45 to75 characters each line). You have to set font to a four inch screen vs. a six inch screen. For setting the font as well as element size ratios and thresholds, there are some other options. Loading images on your website would increase page’s load times if you use smaller and lower bandwidth devices as well as it would consume user’s bandwidth. The adaptive images actually incorporate principles of the fluid images. This checks the screen size of the visitors and for that reason it builds and delivers scaled version of images on your page. FitVids.js is a jQuery plugin which is lightweight and adjusts size of entrenched videos to have matching with screen size at the time of maintaining accurate aspect ratio. 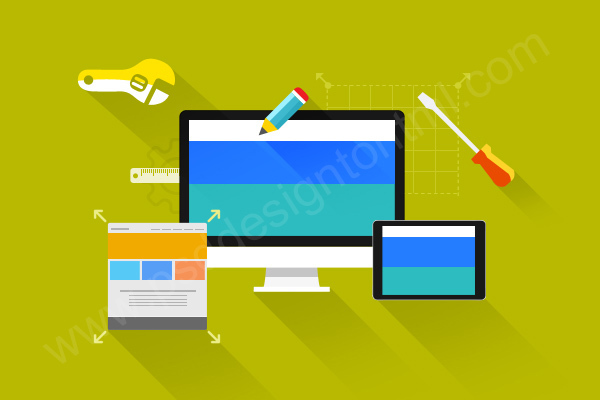 The above tools can help you design plus develop responsive website. You cannot launch website with no testing. If you are confused with testing on various mobiles, you can easily use the following neat simulators. It has maybe one of the best responsive testers. You need to select specific device to test this and feed in your site URL as well as the dimension to test it. This tool supports broad range of tablets, smartphones and desktops. Thing is, if you want to decide on breakpoints, just drag window separator to see the changes of layout at various widths. This tool is another beautiful one you may want to think about. This tool allows you to set width of window in px / em. Several size presets are there including “Hay” mode. It automatically begins this at smaller size & slowly increases. It allows you to see the “break” points. Some other responsive design testing tools are there, such as Responsive Test designed by Matt Kersley. The major differences are in between ranges of preset devices and size options. You need to work with these tools a bit and find out which tool better works for you.